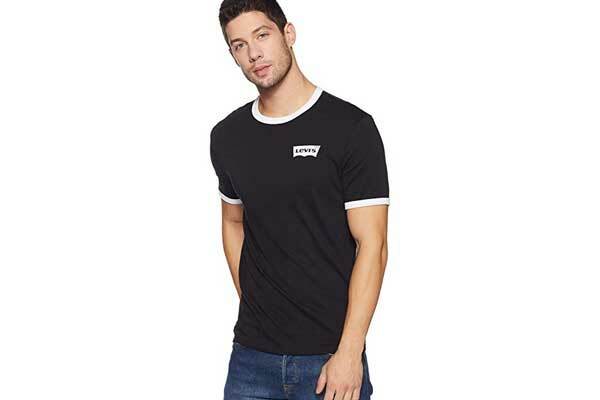 As summer officially commences with the end of Holi, here are the best t-shirts for men to start adding to your cupboards. 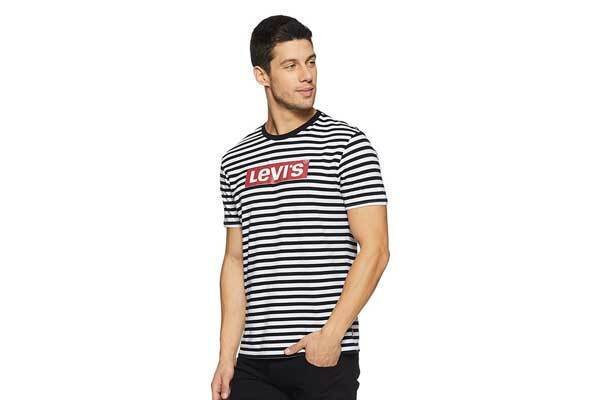 Stay cool without skimping on style in these super numbers from the best t-shirt companies like Levi's, GAP, Allen Solly, United Colours of Benetton and Aeropostale. Whether you like simpler styles or prefer graphic prints, we have the whole range covered, so you can start getting your summer armour ready. Have a look. Ahead, the 12 best t-shirts for men to beat the heat this summer. And don't forget to give finishing touches to your t-shirt outfits with a goodlooking watch and a pair of swanky shades. 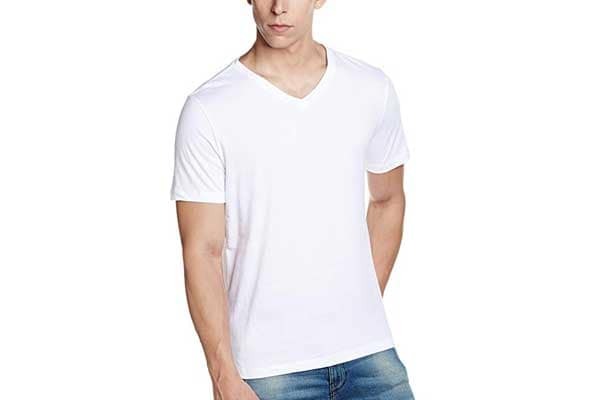 Get back to basics with this short-sleeved white t-shirt for men from GAP. 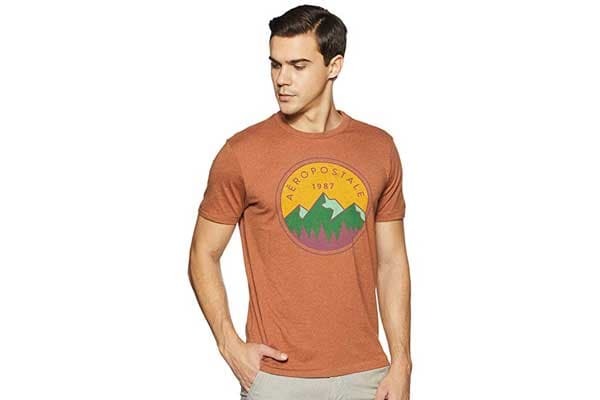 (Unlike the rest from the same brand, it doesn't feature bold logos anywhere, in case you're a simple man looking for veritable no-nonsense options) PRO TIP: wear it with printed shorts. Polar bears in summer? Yes, please. 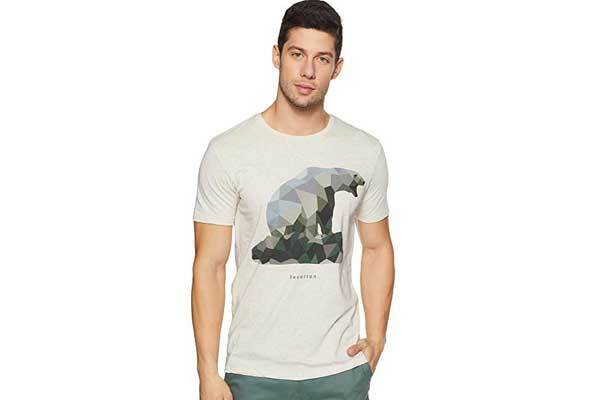 Stay, and look, cool donning this white Arctic-themed t-shirt for men from United Colours of Benetton that features a geometric-print + brand text in the front. PRO TIP: pair it light-wash shorts to channel summer vibes. Ice-capped mountain peaks are pretty rad, too. When it's sweltering outside, one look in the mirror and you'll be transported to colder climes, even if for a moment. (Unless you're already there, in which case, we're jealous). PRO TIP: pair it with pastel lowers. 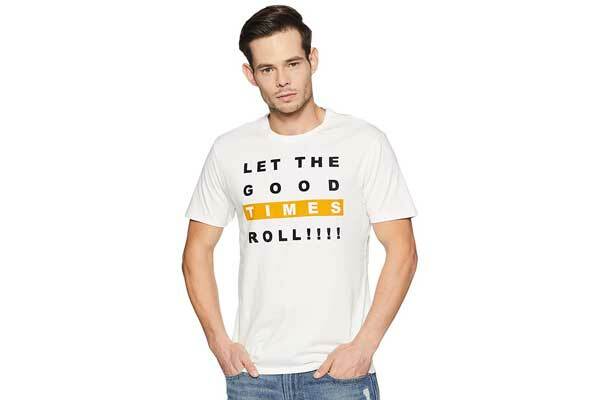 This t-shirt for men is reserved for those with a serious passion for life – those who believe in letting the good times roll, always (!!!). A centred yellow highlight imparts more life to the piece. 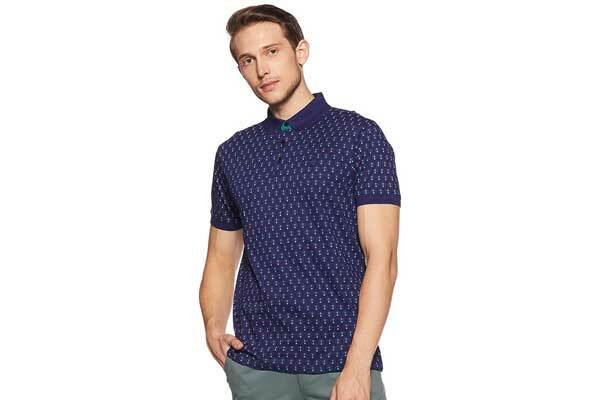 PRO TIP: pair this with anything, from blue light-wash denims to coloured shorts. 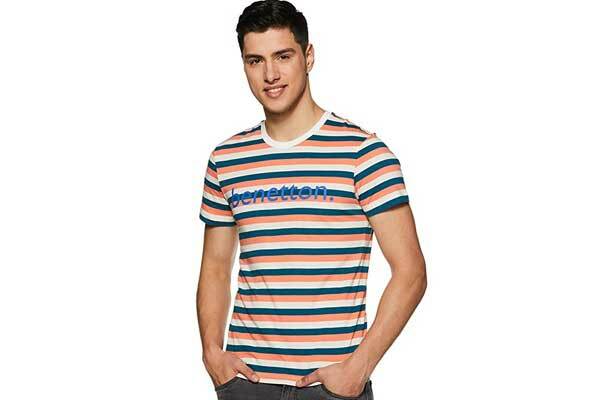 Here's a t-shirt for men who want to add vibrancy to their closets – there's really no way you can go wrong with multi-coloured stripes. We love the eye-catching mish-mash of pink, blue, white and blue brand emblazoning. PRO TIP: contrast it with plain lowers. 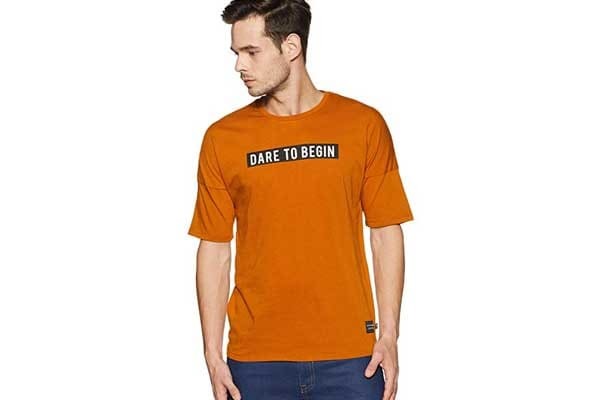 A rust motivational t-shirt for men from Levi's for anyone who needs a dash of inspiration in their lives (or wishes to be a positive influence on others). Dare to wear; dare to begin. PRO TIP: complement the unusual colour with greens, yellows and pinks; or play safe with blacks or blues. 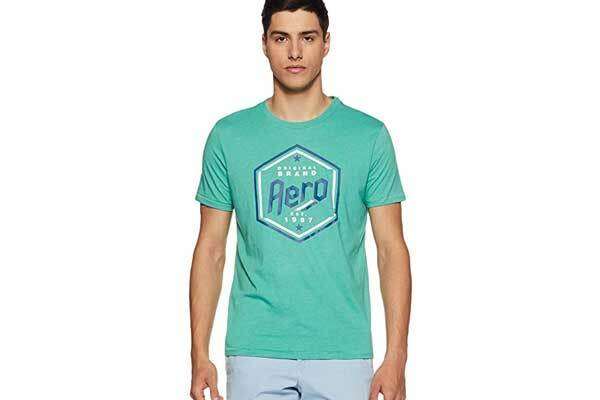 This aquamarine t-shirt from Aeropostale is so blue it may just quench your thirst on hot days. Features brand emblazoning in white-and-blue in a hexagonal box on the front. 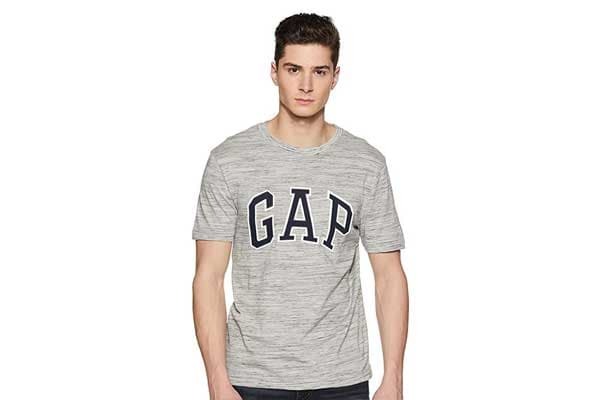 PRO TIP: contrast-and-complement with dark-wash denims, or team it with beige shorts. 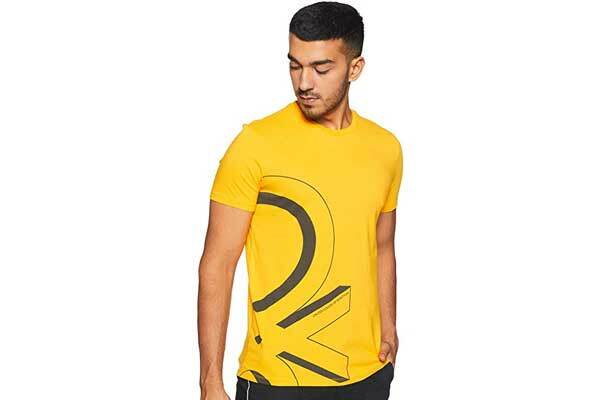 Which summer t-shirts for men are you getting for your spring / summer wardrobes?